The organization formerly known as the Chicago Architecture Foundation opens in new riverfront digs today. 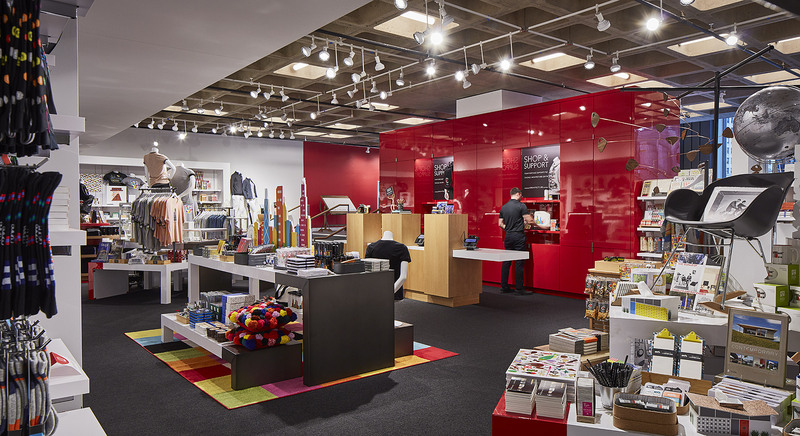 Today the Chicago Architecture Center (CAC) opens its doors on its new riverfront home: a combination of exhibition and educational spaces, retail, and offices for the organization formerly known as the Chicago Architecture Foundation. "Our new home enables us to offer a whole new experience," said Lynn Osmond, Hon. AIA, the president and CEO of CAC, in a press release. "Visitors can explore huge scale models of skyscrapers and learn how and why they were designed and built. They can dive into the new, expanded Chicago Model and learn the story, told through film and projections on the model, of Chicago's architectural legacy." Designed by local firm Adrian Smith + Gordon Gill Architecture (AS+GG), the center is housed in an existing Ludwig Mies van der Rohe–designed building on East Wacker Drive, positioning the center immediately adjacent to the organization's River Cruise dock. "The location, overlooking the Michigan Avenue Bridge, is at the crossroads of Chicago," said AS+GG founding partner Gordon Gill, FAIA, in the press release. "The design doubles down on the remarkable visibility to create an open, accessible space that invites the city to step inside and provides a perch from which visitors can watch the city at work and play."